You might be familiar with the term Black Hat marketing on Google and other Search Engines. 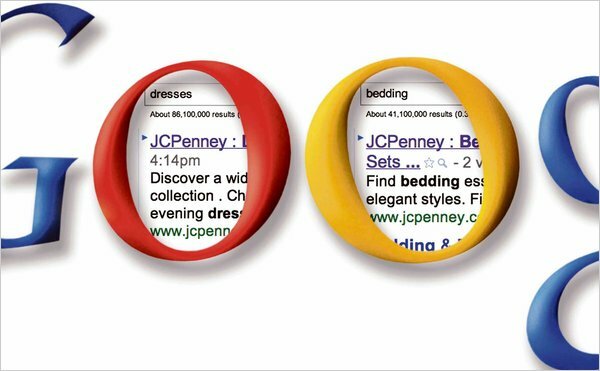 Recently JC Penny’s has been penalized in to be ranked well for various search terms on Google, particularly in planning for the 2010 holiday season. The news was uncovered by the New York Times. Although, one has to wonder if the New York Times was tipped to this issue by a competitor of JC Penney. How the actual process Begins? - The process first begins with how relevant a web page is to a search. This would include your Title tag, the meta Description of a page, and the visible text. The three parts have to work together in order to show a certain level of keyword density on a topic. You will notice I did not say anything about meta keywords as those have become less important over the years since companies can hide what they are really about in the meta keywords versus what they are displaying to the rest of the world. - The next major point would be about the web page’s importance. This is determined through the number of web pages linking to your web page or pages. The more links the better. At least that was the original thought until website owners decided to buy links cheaply without doing any work. These links have several sub-components including if the site that is linking to you is relevant to your topic and if that linking web page itself has any importance. Unfortunately, this incident may have a frightening effect on companies that are considering hiring legitimate SEO agencies. Most SEO professionals approach their profession with the highest levels of integrity while deploying only white hat tactics. The New York Times article doesn’t do a very good job of highlighting this. So, what did this article teach us about SEO, link building, black-hattery and more importantly Google? The key take-a-way from this is that Google is not very good at detecting spammy link building when done “under the radar.” Meaning, as long as the links aren’t created too fast it’s harder to detect. If Google sees a large spike in links that reside “X” deviations from their defined algorithmic mean a red flag is raised. That is how a website would get caught for spammy link building. However, Google did not catch J.C. Penney, the New York Times did. That gives black hat SEO’s a good idea of what that “X” value might be. By going into Yahoo’s Site Explorer and examining the spam links a good SEO should be able to determine a potential threshold for staying under Google’s radar. The New York Times story potentially could lead to a spike in black hat link building activities. If I were a shady black hat SEO person I’d feel much more confident in my crooked link building activities because of the lessons learned from the New York Times article. Companies that knowingly employ or may employ these shady black hat SEO agencies may feel more comfortable because this new information sheds some additional light on Google’s algorithms. However, if this is the result of the J.C. Penney story it pales in comparison to the below likely scenario. What is to stop a company from employing a black hat SEO agency to build massive amounts of backlinks to their competitor’s website so they can report it to Google and have the website banned? Answer – Nothing! This breaking story has potentially opened up a new market for the black hat SEO’s – SERP sabotage. The SERP saboteur could anonymously report the bad link building activities to Google too. It could be reported using social media, forums and even press releases. I’m sure there are plenty of hungry journalists out there that would love to break the next J.C. Penney SEO story. How is Google going to handle this new potential reality? I don’t know the answer may be you know it better..Lets comment it to the below box.